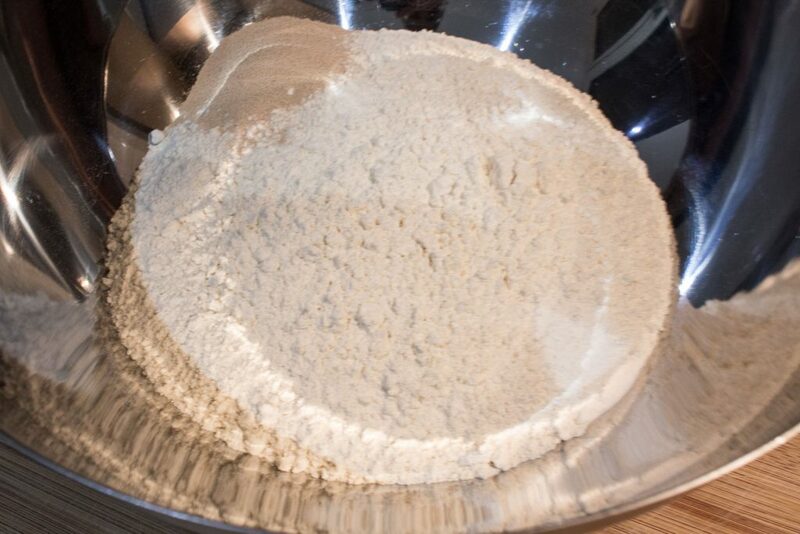 In a large bowl put the flour, the yeast, the salt (not in contact with the yeast), sugar and salt. Mix. Make a well in the center. Beat the eggs quickly and add them to the well. Mix. 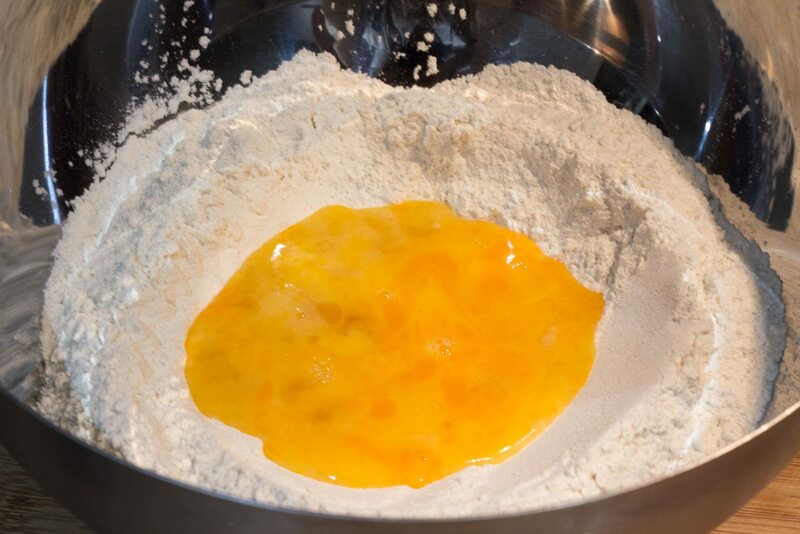 Add the warm milk, orange blossom water and mix, start kneading to obtain a ball of dough not sticky, smooth and homogeneous. 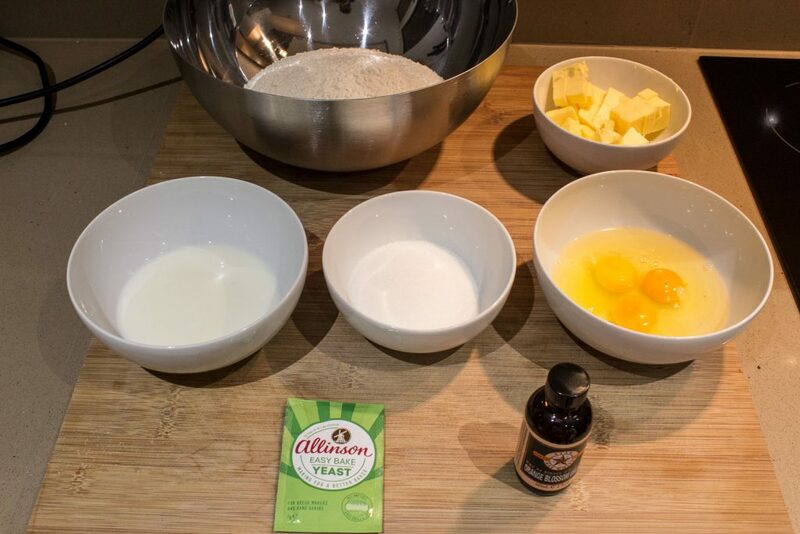 Add flour little by little if necessary. 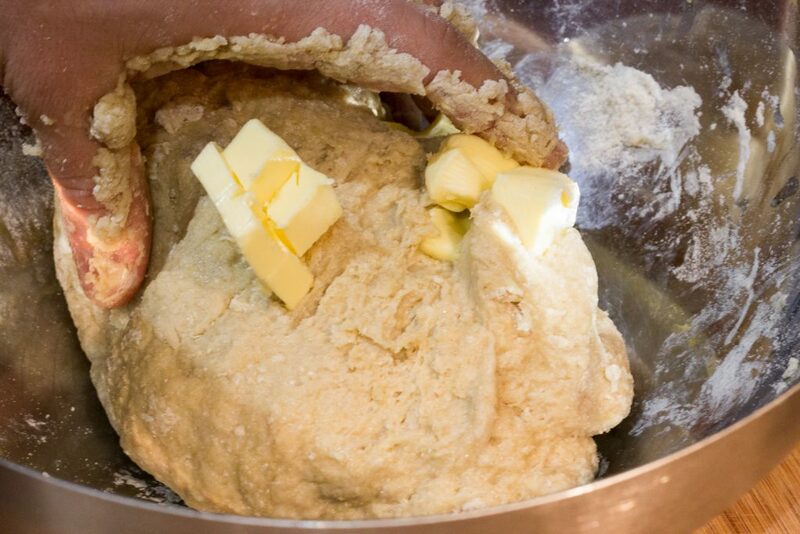 Then add the soft butter in small pieces in several times while continuing to knead. 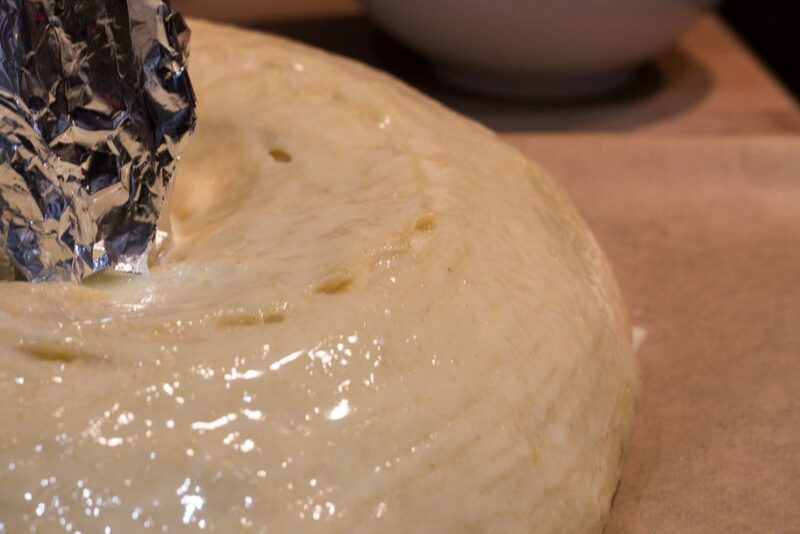 You need to obtain a ball of dough not sticky. 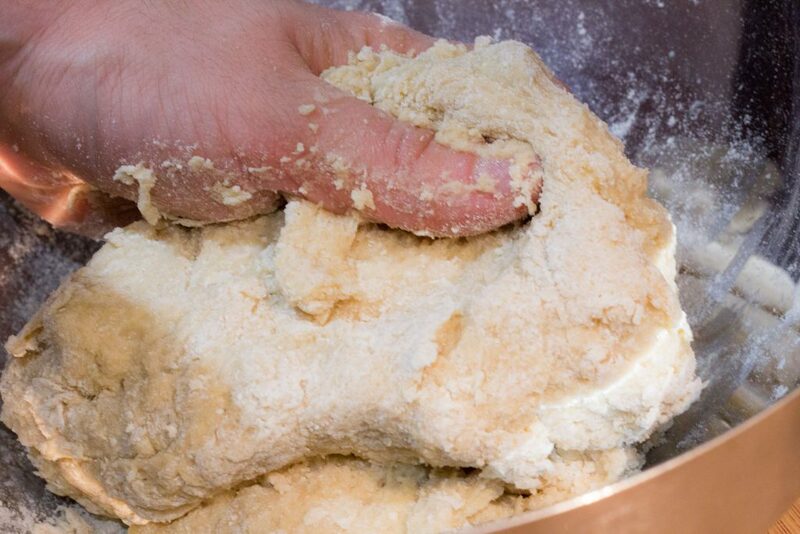 Add more flour if necessary but not before introducing all the butter and kneading 15 to 20 minutes. 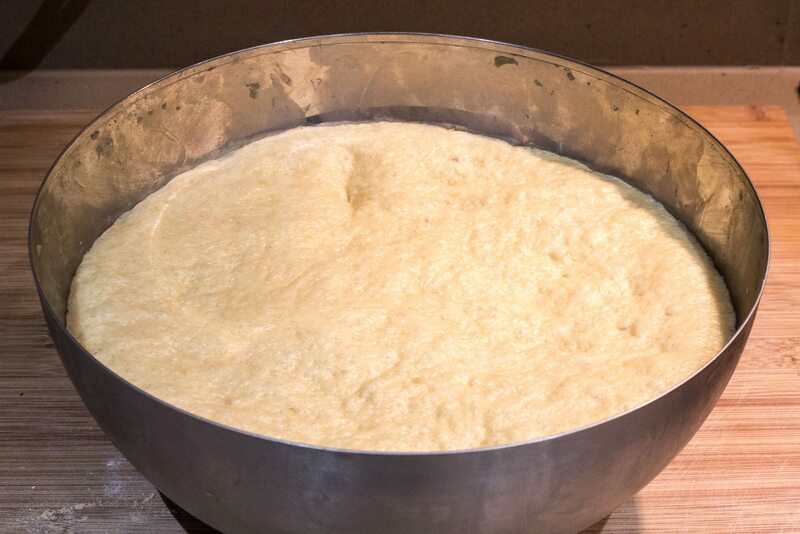 Let the dought double its volume double in the bowl covered with a clean cloth between 1 to 12 hours. 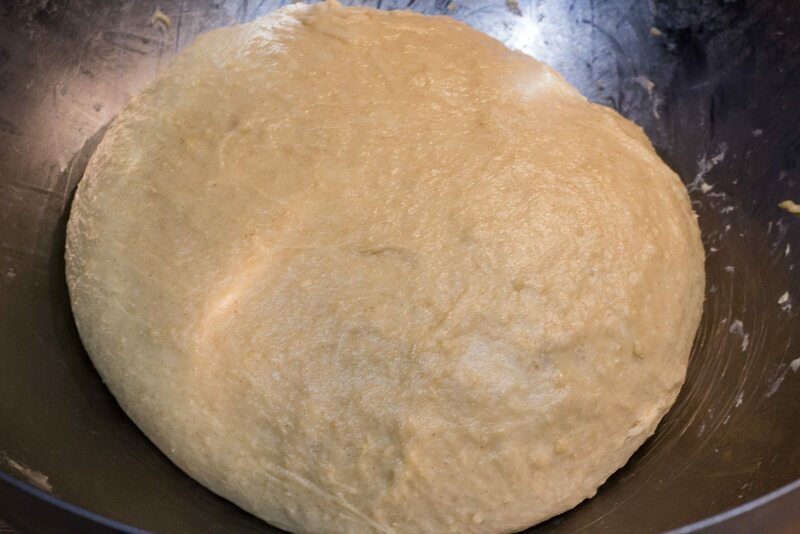 Flatten the dough and knead for 2 min. 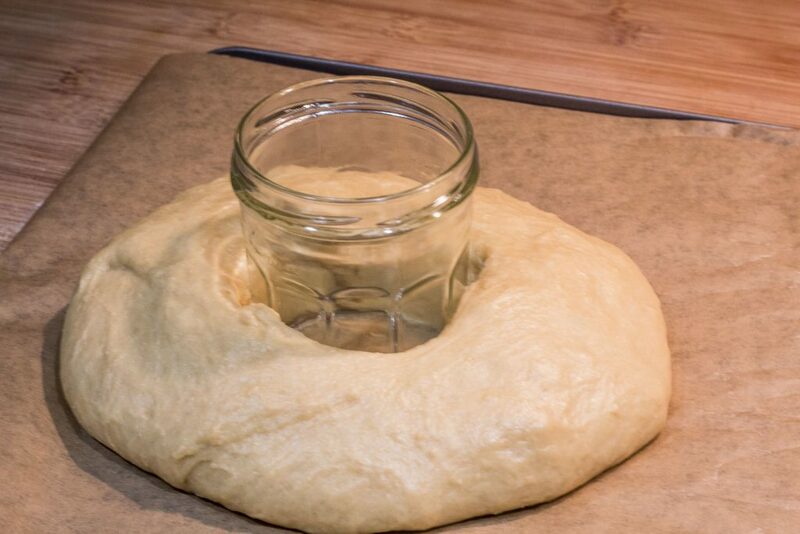 Make a ball with the dough (on your baking tray covered with baking paper), and and make a hole in the center of the ball (using the index and the middle finger) by enlarging it little by little turn the ball on itself. 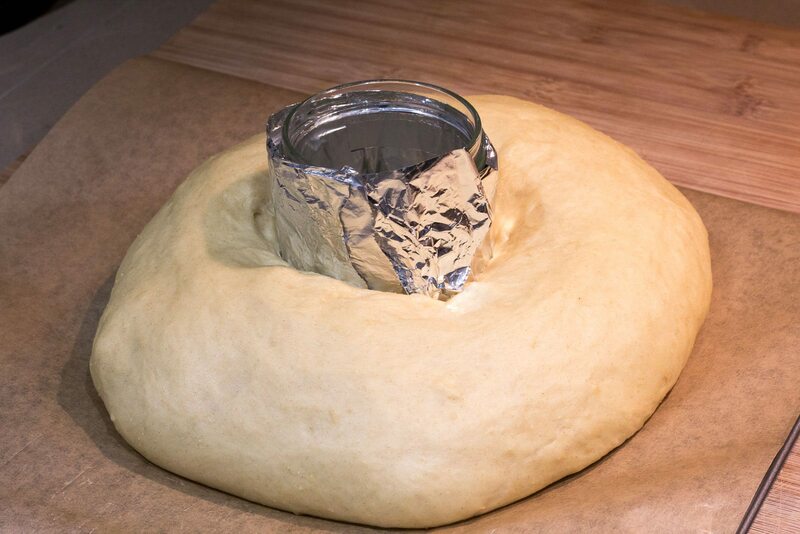 Put any pyrex or foil in this hole and let the dough rise again for 45 minutes. Finally glaze the fougace with the egg yolk diluted in a tsp of Orange Blosson water. 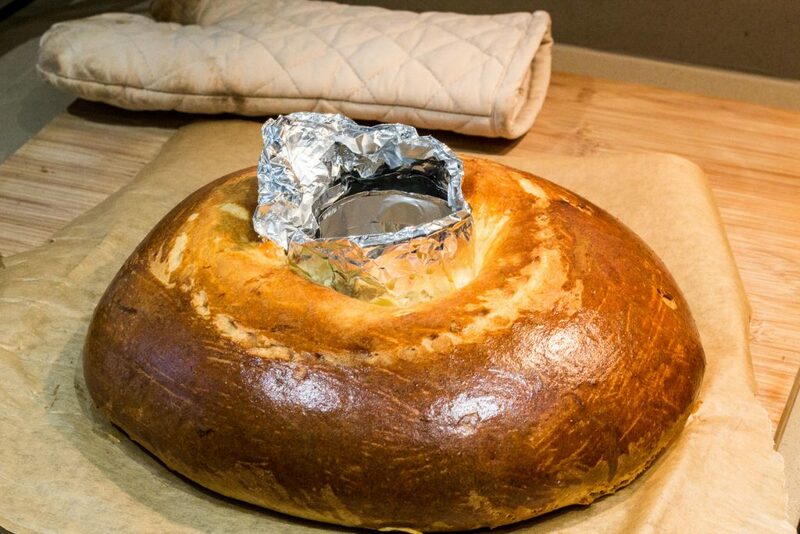 Decorate with sugar grains (if you have) and cook for 25 minutes in the preheated oven at 180 ° C. Cover the fougace with aluminium foil if it is browning too fast. Remove what you have used to make the hole. 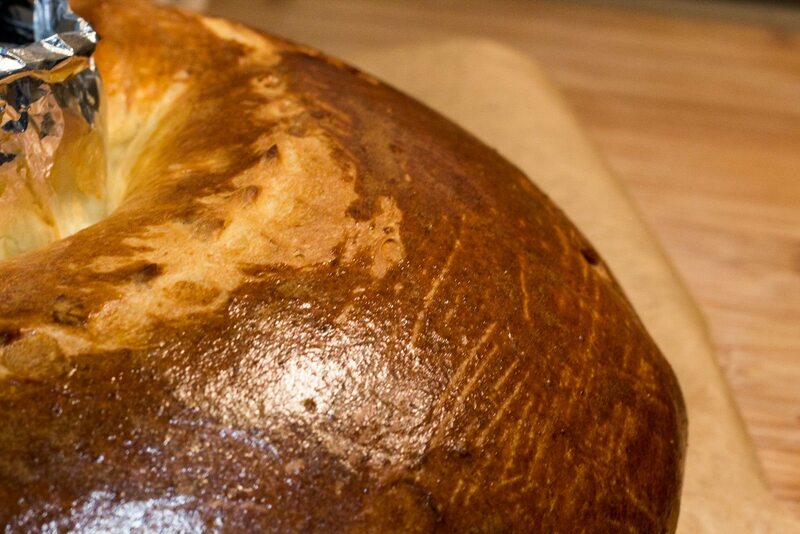 Enjoy it with a cup of coffee or hot chocolate and jam!